So dramatic. So romantic. So majestic. 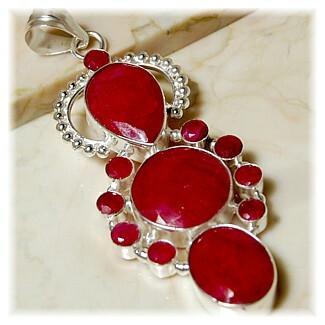 This drop-dead-gorgeous pendant has been created in 925 Sterling Silver, set with the most fabulous of Indian Ruby jewels. A real heavyweight at 28.5gm and big and bold at 9cm (3½").